This series affirms that the Bible is a Christ-centered book, containing a unified story of redemptive history of which Jesus is the hero. 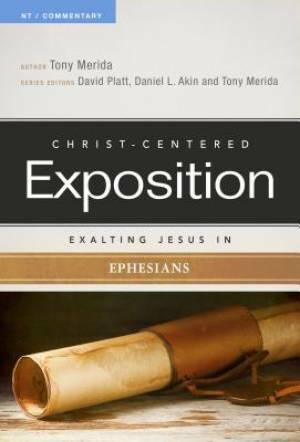 Exalting Jesus In Ephesians by Merida, Tony; Platt, David; Ak was published by Holman Reference in September 2014 and is our 62600th best seller. The ISBN for Exalting Jesus In Ephesians is 9780805496727. Be the first to review Exalting Jesus In Ephesians! Got a question? No problem! Just click here to ask us about Exalting Jesus In Ephesians.